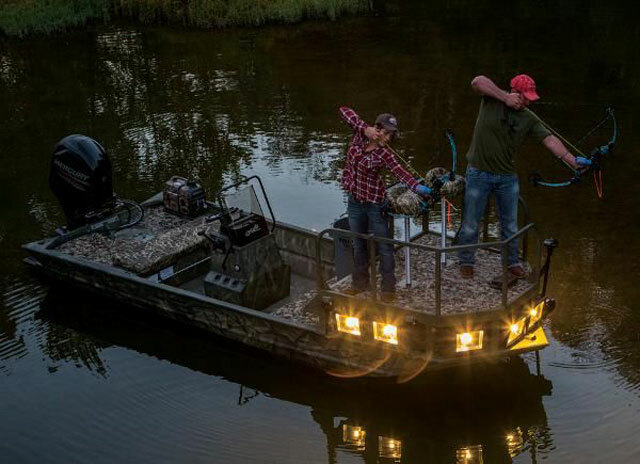 Bow fishing has become a popular boating activity in some areas, and now Tracker has designed and built a boat specifically for archer-anglers. Few boating activities are as bizarre looking as an Asian Carp hunt, but after spending a few minutes on YouTube, you won't wonder why this “sport” has become so popular. It looks like an outrageously fun time. And this isn't the only species people go bow fishing for. Skates and rays, gar, and regular old carp are also tempting targets. 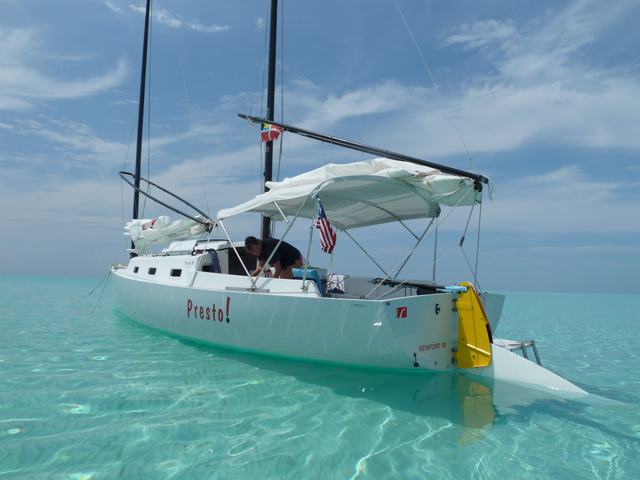 For 2014, however, there’s a huge new development in the world of bow fishing: Tracker has created a boat designed specifically for the activity. 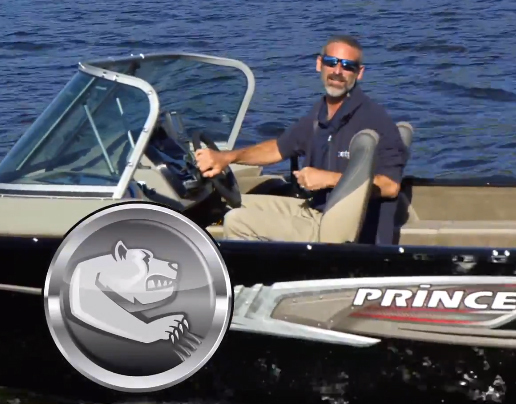 Boating and bow hunting go hand in hand, on the Tracker Grizzly 1860 Sportsman. The Tracker Grizzly 1860 Sportsman is built on the 1860 CC’s footprint, with the biggest difference being the addition of an elevated bow shooting deck. It has tall rails all around to steady yourself as you draw, and a bow-holding rack with drink and tool holders. A pair of pedestal-mount seats give you a place to relax between shots and large LED spotlights are mounted between the deck and the gunwale, to light up your targets at night. Power comes courtesy of a small Honda generator, strapped down on the aft deck. Above and beyond the elevated platform there are a couple other features also intended to make bow hunters happy. There’s a pull-out bow stowage drawer. And when you flip open the bowdeck stowage compartment hatch, you’ll discover an arrow rack mounted to its underside. Naturally, just about everyone who’s going to get an 1860 Sportsman because they love bow fishing is also likely to do some casting of a more traditional nature. 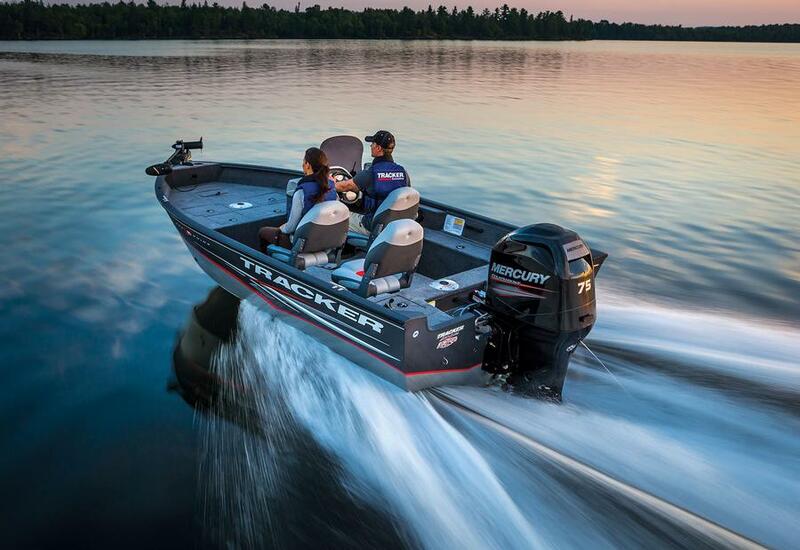 So Tracker outfits the boat with the same fishing features found on the center console version: vertical rod holders on the sides of the console, an aerated livewell, and a 12-volt, 45-pound thrust Minn Kota PowerDrive electric trolling motor. 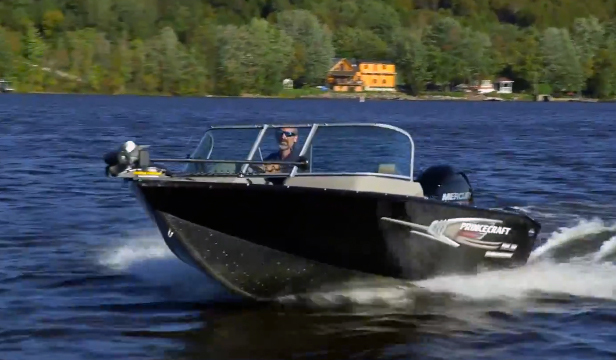 Wait a sec—doesn’t the raised shooting platform make it impossible to use a bow-mounted trolling motor? 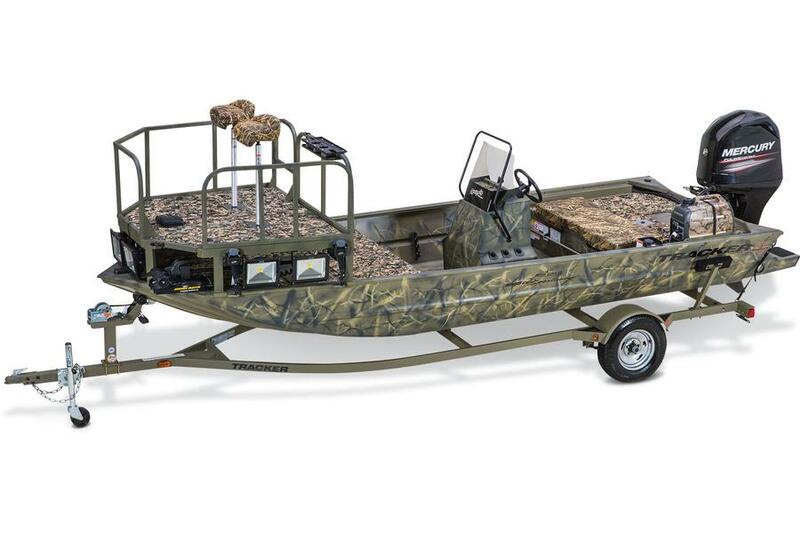 Obviously, the down-side to this model is that the level of specialization and the addition of the deck can interfere with uses other than bow fishing, and equipment like that motor. Fortunately, Tracker realized this and took some mitigating measures. The platform has a swing-up hatch, which allows access to the motor and mount. And if you plan to leave the bow and arrows at home for a trip, you can remove the entire platform and leave it in the garage. As with other new Trackers in the Grizzly family, which includes some models as petit and simple as the Grizzly 1548 and range all the way up to a 20-footer, a powder-coated finish is part of the deal. Standard-issue is green, but for a $400 up-charge you can get camo patterns in grassland or woodland. Get the camo pattern if you want to go bow hunting for carp one day, and gunning for duck the next. 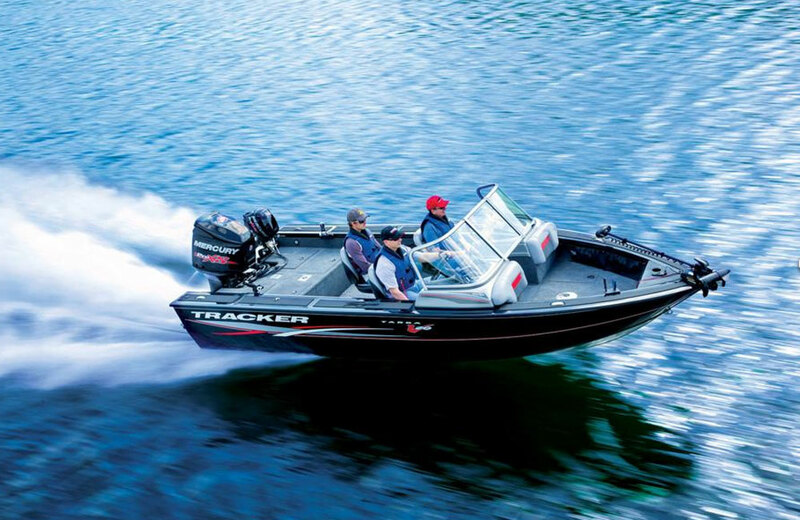 Construction is standard-issue Tracker: the hull is crafted from 0.10” thick 5052 marine alloy, chines are pressed, and the transom has corner braces. All seams are welded, and the deck is topped with a closed-cell nonskid liner. Another thing we like about the Grizzly is that Tracker packages it with a trailer, and isn’t afraid to publish their “No Haggle No Hassle” package pricing. Go with the standard 40 HP Mercury four-stroke, and it’ll cost you $18,995. IMHO most folks will be a lot happier with the rig if they plan on shelling out another thousand dollars, and upgrade to the 60 HP powerplant. That should get you speeds up into the mid 30’s and provide extra pulling power if the family wants to enjoy tow-toys or watersports now and again. And don’t forget that the platform, sweet as it is for bow fishing, adds a couple hundred pounds of weight to the bow of the boat. When it’s fully loaded with people and gear, 40 horses may feel a bit tame. 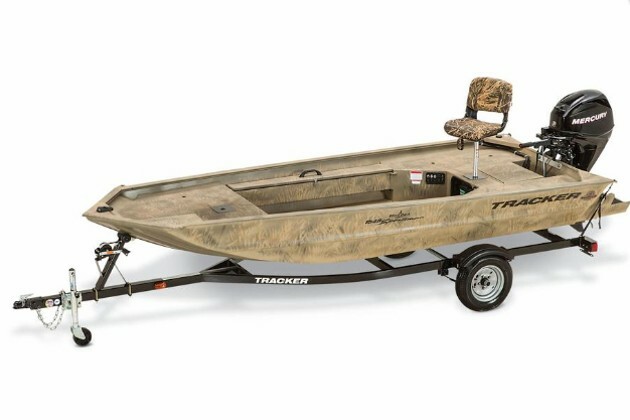 However you choose to rig it out, though, one thing is for sure: if someone enjoys bow fishing above all else, the tracker Grizzly 1860 Sportsman hits the bull’s-eye. 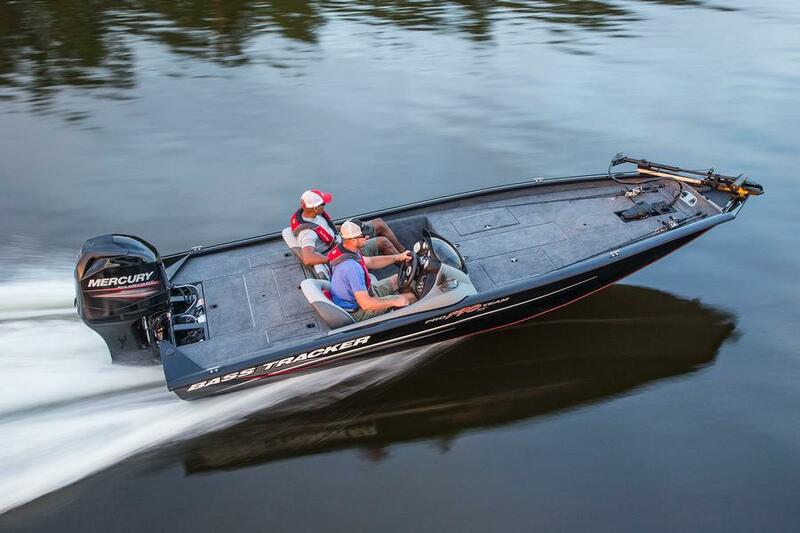 Other Choices: We know of no other production boats dedicated to bow fishing; most serious bow fishers need to have raised platforms custom fabricated for a boat they already own. View Tracker Grizzly 1860 Sportsman listings.